Area 51 has been a constant fixture in conspiracy theories, so much so that it frequently gets mentioned in movies as well. While the US Air Force has acknowledged the existence of such a place, the actual purpose of the facility remains a secret. Perhaps that seems to be mysterious enough for Dell to launch a gaming laptop that is literally changing the game. While powerful, flagship-level hardware for an Alienware-branded rig is a given, what Dell offers you is the ability to upgrade CPU and GPU, just like a desktop. The device raised everyone’s collective brows when it was announced at CES earlier this year, and has finally made its way to India, where I managed to spend some time it. So without further ado, here’s how the Dell Alienware Area-51m is one of the most revolutionary laptops I’ve come across in a long time. 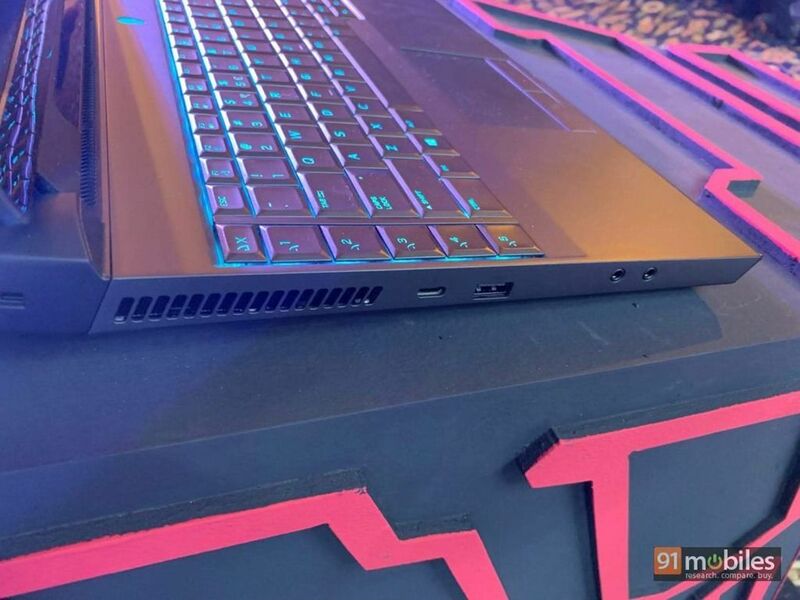 Considering it’s a full-blown gaming laptop, the Alienware Area-51m has a dominating profile wherever it’s kept. Add to it the fact that the brand has given it a distinct look and it’ll definitely get everyone’s attention. 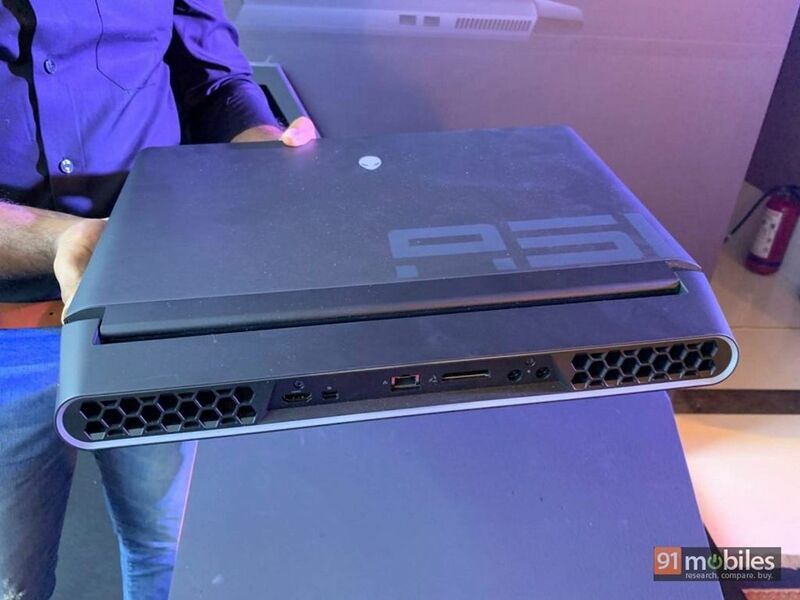 In terms of the design, the cooling vents have been placed on the back and right side of the laptop. The lid made out of magnesium alloy features a silver finish with the A51 written on it. Weighing in at 3.87kg and with a thickness of 42mm, the laptop is surely meant to be kept at a stationary rather than being carried everywhere. 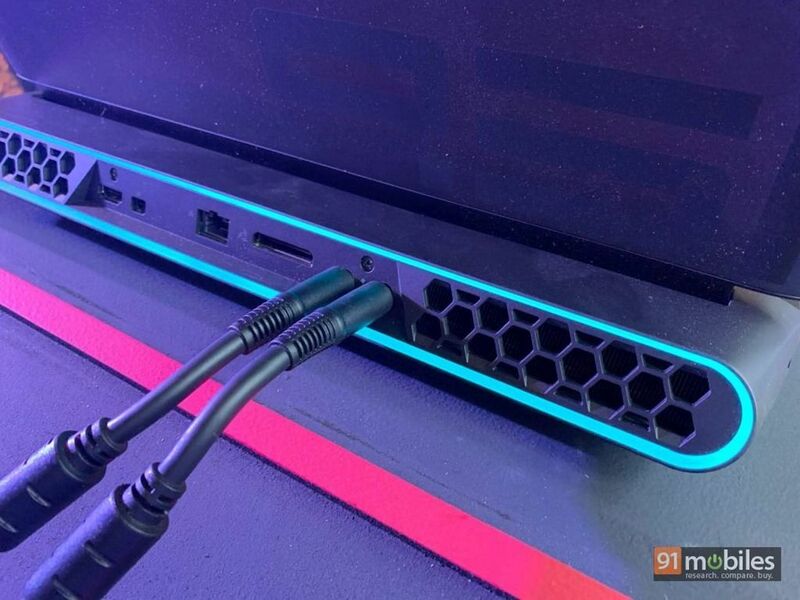 Along with the cooling vents, you’ll find the HDMI port, min-Display port, Ethernet socket, Graphics Amplifier Port, and Dual DC charging sockets on the rear. On the right sit the two USB ports, whereas the left spine is home to a Thunderbolt port, a Type-A socket, a headphone and mic socket. Opening the laptop reveals a large 17.3-inch IPS display with slim bezels all around. The keyboard and trackpad area isn’t anything unusual, though the keyboard comes with N-key rollover technology to ensure that you can type faster, and then there’s support for programmable macro keys which works with over 150 gaming titles. While the layout is slightly unusual and might take some time to get used to, the keys offer enough travel to ensure fast and accurate typing. The trackpad is also quite responsive. Weighing in a 3.87kg and measuring 27.65mm in terms of thickness, there’s no doubt that the Area 51m might be portable, it’s not easy to carry it around the entire day. The panel features full HD resolution and supports frame rates of 144Hz, which is ideal for gaming. 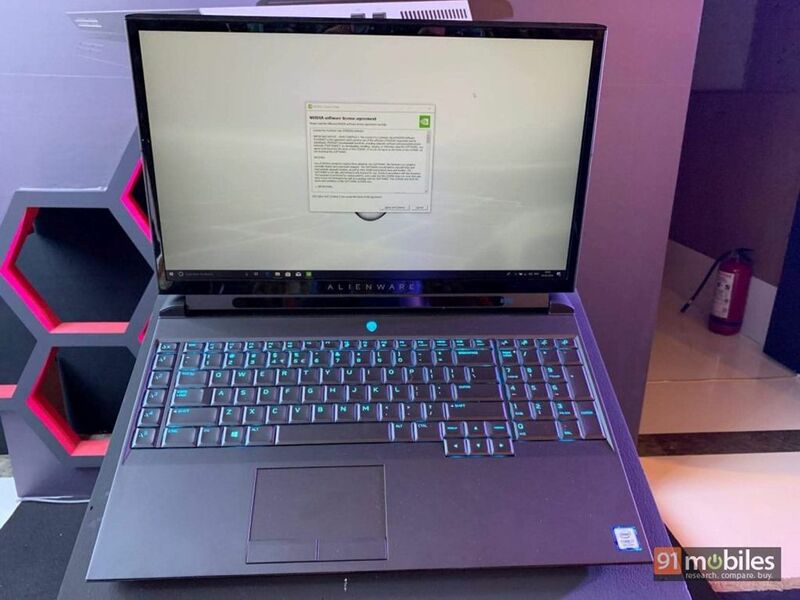 Driving the Dell Alienware Area 51m is Intel’s 9th-gen processor with the maxed-out variant offering i9 9900K chipset. Couple that with NVIDIA’s new RTX 2070 / 2080 overclockable graphics cards, and the laptop becomes quite potent. As far as the memory is concerned, you can opt for up to 32GB DDR4 RAM and 512GB SSD along with a 1TB SSHD. 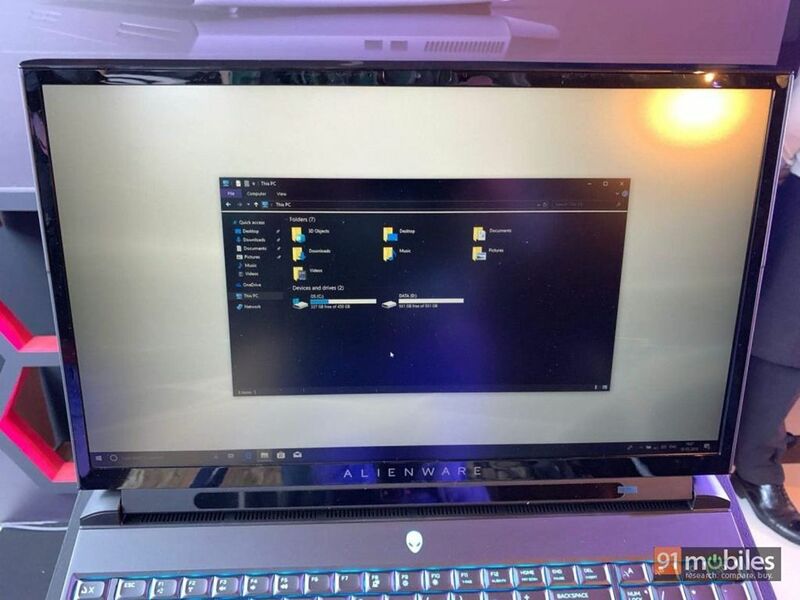 But of course that’s not what’s impressive about the Area 51m, it’s the fact that you can swap CPU or GPU, which is unheard of in a laptop. 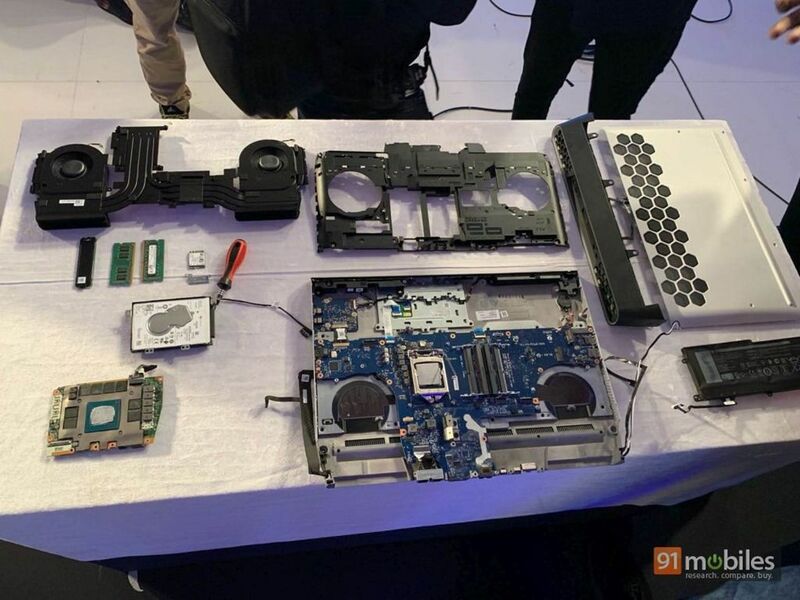 While the former can be switched to a desktop-class processor, the latter can be upgraded with onboard graphics module replacement or via Alienware’s Graphics Amplifier. What about the heat generated with such hardware in a relatively small size? Dell has got you covered. 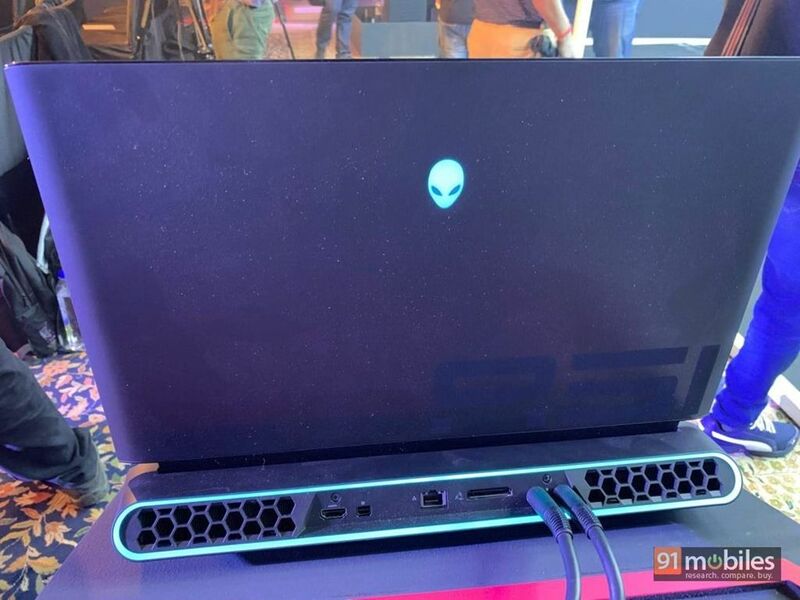 The Alienware Area-51m features a dual-fan design at the top and bottom, with the fan being constructed out of liquid-crystal polymer and features 0.2mm blades. The company also claims that even with so many components, the rig won’t generate much noise in day-to-day tasks. 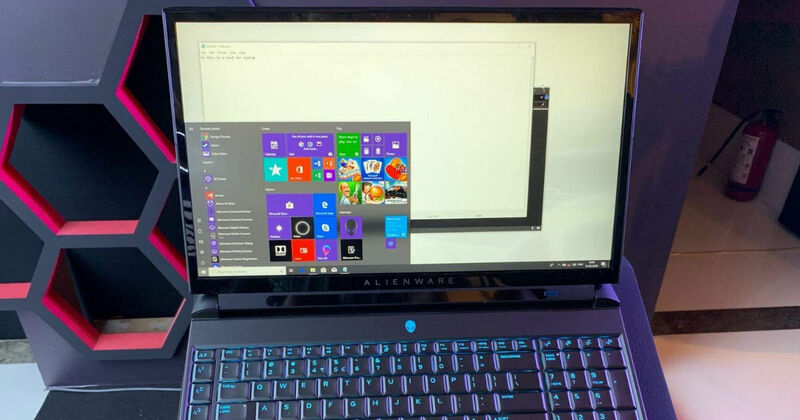 The laptop runs Windows 10 Home and also comes with Alienware Command Center, letting you calibrate controls or Alienfx lighting among other things. Another interesting thing is the advanced eye tracking, which can track your head movements and eye position to enhance the gaming experience. Sadly, I wasn’t able to put this to test during my limited time with the Area-51m. 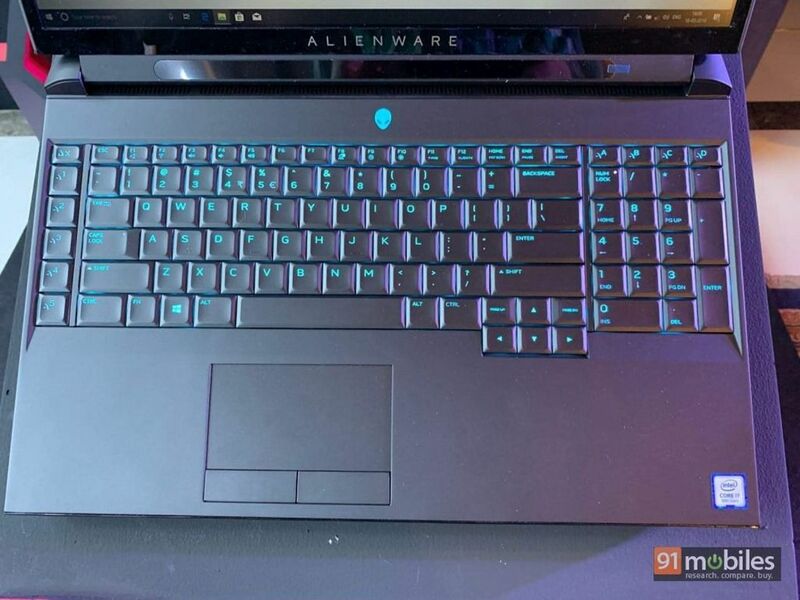 With a starting price of Rs 2,99,590, the Dell Alienware Area-51m isn’t for everyone. But the fact that the device is future-proof might entice a lot of gamers. Moreover, the device certainly pushes the boundaries in terms of what a laptop can achieve, and the brand must be commended for that. We can’t wait to put the rig through its paces, so keep watching this space.